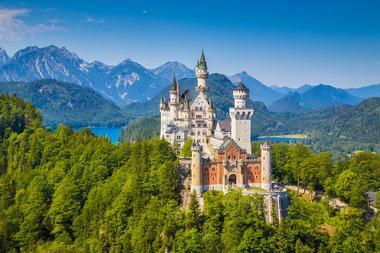 Germany is known for some of the most beautiful castles in the world. The medieval and late Gothic castles seem to be straight out of a fairy tale, sitting atop mountain peaks and overlooking flowing rivers. Their historical residents range from kings and knights to dukes and damsels, all of which adds to the mystique of the castles. Even better are the amazing artifacts, antiquities, and artworks that can be found on the castle grounds of places such as Burg Altena, Dresden Castle, and Schloss Johannisburg. Found in the heart of Bavaria, Germany, Neuschwanstein Castle is a 19th century Romanesque Revival palace that was built by Ludwig II of Bavaria. The palace was his personal refuge but was soon opened to the public after his death in 1886. Visitors may recognize the palace as it was the inspiration for Disneyland’s Sleeping Beauty Castle and has also appeared in movies such as The Great Escape and Chitty Chitty Bang Bang. More than a million people visit the palace annually to explore its magnificence, comprising the gatehouse, the multi-level courtyard, the majestic interior, and the many antiquities and statues scattered throughout the complex. Albrechtsburg Meissen is a late Gothic castle rising picturesquely over the Elbe River valley. Often considered one of Germany’s oldest castles, Albrechtsburg was built in the 15th century and set many architectural trends during its construction. During a guided tour, visitors can explore the courtyard, the slopes, and even the basement vaults of the palace building. Visitors will be able to learn about the history of the palace and the surrounding buildings, the royal residents who lived there, and the craftsman and artists who contributed to the castle’s beauty. Visitors can even end their tour with a glass of delicious Meissner wine. Burg Altena was built in the 12th century on top of Mount Wulfseck by the Counts of Berg. Having been the home of the Counts of Marck, formerly the Counts of Altena, the castle had many residents and visitors over the years. In 1912 the castle was one of the first in the world to be transformed into a permanent youth hostel, which is still present today. Over the years two museums have been added to the castle, the World Youth Hostels Museum and the Museum of the County of Marck. Nestled for over 850 years within the mystical Eltz Forest is Burg Eltz, or Eltz Castle. Visitors can have a fairytale experience of a preserved beauty that has pretty much remained the same for the past eight centuries. The castle has been unscathed by war and holds many of the original furnishings and antiquities; it is also still owned by the same family who built it. Visitors can explore the many artifacts, the world-class artwork, the serene beauty of the surroundings, and the many species of flora and fauna that can be found here. A guided tour of the interior of the castle displays stunning authentic furnishings from the Middle and early Modern Ages. Built in 1316 and then rebuilt in various instances from 1825 to 1844, Burg Rheinstein is a castle that played an important role in Germany’s defenses over the years because of its strategic location. There are many beautiful aspects of the castle that visitors can explore. Some of the more popular are the drawbridges which played a part in their defense plan, the courtyard, which looks over the Rhine, and the castle chapel, which has a wood carved altar piece depicting Jesus at the Last Supper. One of the castle’s courtyards is known as the Burgundy Garden, named after the 500-year-old Burgundy grape vine, which still produces grapes. The longest castle complex in the world, according to Guinness World Records, is stunning Burghausen Castle. 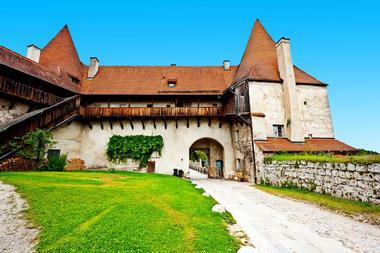 The complex, which is 1,051 meters long, houses the main castle, an inner courtyard, and five outer courtyards. Parts of the castle are now dedicated to the castle museum, which has numerous Gothic paintings from the Bavarian State Picture Collection; there’s also a monumental picture cycle that illustrates Bavaria’s history. Visitors can explore the outer courtyard, complete with a brewery, stables, and a bakery. Visitors will also appreciate the panoramic views of their surroundings from the viewing platform on the roof of the castle. The Charlottenburg Palace was built in the late 17th century and is the largest palace in Berlin, Germany. Though it was damaged in World War II, it has since been reconstructed and now houses a mausoleum, a belvedere, a pavilion, a theatre, and a formal garden at the rear of the palace. Visitors can explore the palace grounds; some of the interior includes the Old Palace and the New Wing, with rooms such as the state apartments of Frederick the Great, the winter chambers of Friedrich Wilhelm II, and the Porcelain Cabinet with over a thousand porcelain objects on display. Visitors can also see the crown jewels and the royal silver and fine porcelain tableware exhibited in a special display. One of the oldest buildings in Dresden, Dresden Castle is also popularly known as the Royal Palace or Dresdner Schloss. 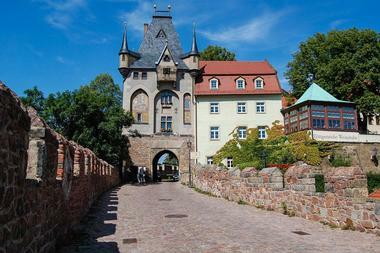 For over 400 years the castle was the residence of the electors and kings of Saxony. 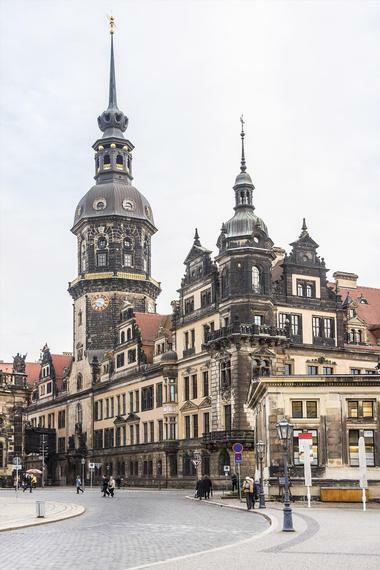 Now the castle complex has been converted into a museum that houses many sections with items from Germany’s past, such as the Numismatic Cabinet, the Dresden Armory, and the New Green Vault. In the Kupferstichkabinett, or the Cabinet of Prints, Drawings, and Photographs, visitors can see over 500,000 objects by nearly 20,000 artists spanning eight centuries, including the works of Rembrandt, Michelangelo, and Pablo Picasso. The Gothic Revival-style Ehrenburg Palace was built in the 1540s and served as the main residence for Coburg’s princes from the 1540s to 1918. The palace was built by Johann Ernst, Duke of Saxe-Coburg, and titled “Ehrenburg,” which means Palace of Honor, by Emperor Charles V because the palace was constructed without any forced labor. A number of reconstructions have been done over the years as nature took its toll, but the beauty and history the palace has housed is still visible to visitors today in its architecture and its antiquities. The palace is now a museum with exhibits dedicated to the castle’s past as well as art galleries dedicated to the works of Lucas Cranach the Elder. 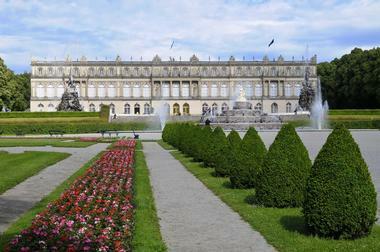 The Royal Palace of Herrenchiemsee was the brainchild of King Ludwig II of Bavaria as a "Temple of Fame" for King Louis XIV of France, of whom King Ludwig was quite fond. Construction on the "Bavarian Versailles," the largest of the king’s palaces, began in 1878 but was still incomplete when King Ludwig II died in 1886. Visitors can explore the large state rooms, the state bedroom, the state staircase, and the Great Hall of Mirrors. The gardens are in typical Versailles style and filled with fountains and statues. 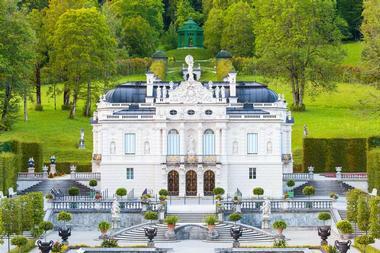 The location is absolutely stunning as the palace is located on an island in Bavaria’s largest lake, the Chiemsee. 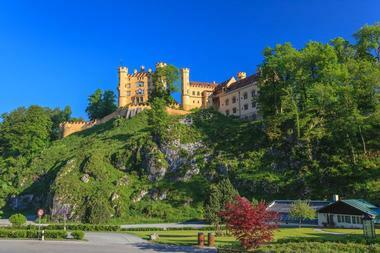 The childhood residence of King Ludwig II of Bavaria, Hohenschwangau Castle is a 19th-century palace that was built by King Maximilian II of Bavaria. Over the years, many of the royal family have resided in the castle, with Franz, Duke of Bavaria, continuing to visit the summer residence. Over 300,000 visitors come from all over the world to visit the palace and explore it in detail with a guided tour. From the exterior of the gate, the towers, and the Swan Fountain to the ballroom, salon, and bedrooms, each aspect of the palace is filled with detail. Straight out of a fairytale, Hohenzollern Castle takes visitors on a journey through Germany’s history, which can be seen in its splendid architecture, the magnificent interior, and the interesting artifacts. There are specific guided tours for adults, children, and families so that each person really understands and enjoys their experience. 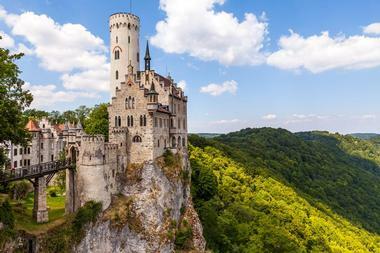 The castle sits atop a bluff beside the Swabian Alps and offers a stunning view of its surroundings. 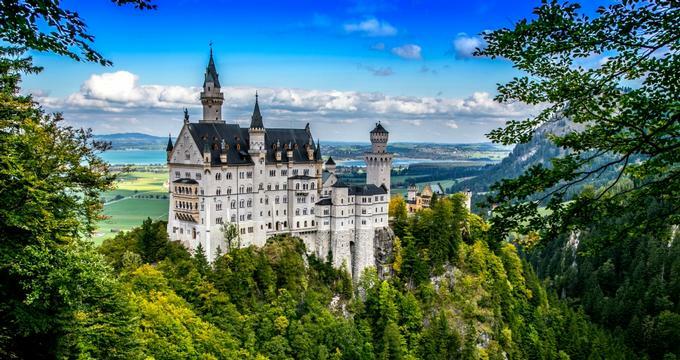 One of the most visited castles in Germany, visitors can see historical artifacts such as the crown of Wilhelm II, a letter from US President George Washington to Hohenzollern descendant Baron von Steuben, and the personal effects of King Frederick the Great. Often called the "fairy tale castle of Württemberg", Schloss Lichtenstein was designed by Carl Alexander Heideloff and built in 1840. 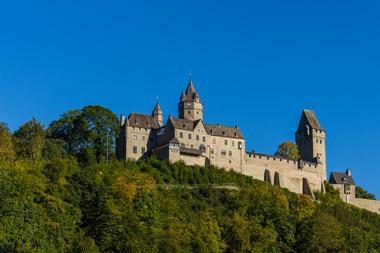 While the modern castle that visitors see today was built with inspiration from the novel Liechtenstein, the castle ruins next to it were the original inspiration for the novel itself. The Gothic Revival-style castle is still owned by the Dukes of Urach, but visitors can explore some of the interior with professionally guided tours; the courtyard is open to the general public, letting visitors see the many gun emplacements on the walls. 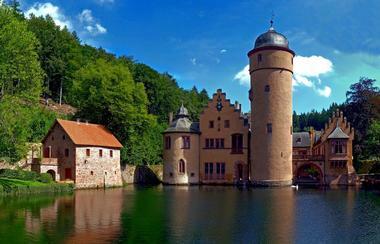 A popular tourist attraction, Mespelbrunn Castle can be found in the Elsava Valley in the Spessart Forest. The moated castle was built in the late medieval and early Renaissance style around the 15th century. Though the castle is open to the public for viewing, it is still owned by the Counts of Ingelheim’s family, who continue to live in the southern wing of the castle. 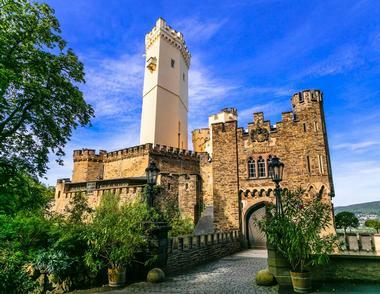 The romantic castle is a perfect day trip for visitors to Frankfurt and Würzburg. The guided tours take visitors through the chapel, reception rooms, and courtyard and provide an opportunity to see castle life and to better understand the family’s nobility in Germany’s history. 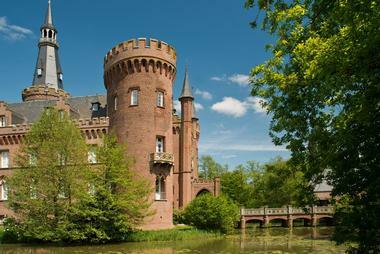 A popular visitor attraction in the Lower Rhine, Moyland Castle is a stunning moated castle built in neo-Gothic style. The castle has a rich history that eventually led to it becoming a museum dedicated to the works of artist Joseph Beuys. The castle actually houses the world’s largest collection of the artist’s work as well as departments for museum administration, the museum café, a library, concert and event hall, and a space for visiting/temporary exhibitions. The building itself is a stunning piece of architecture enjoyed by visitors for its Tudor-style brick exterior, towers, and a polygonal lantern roof. 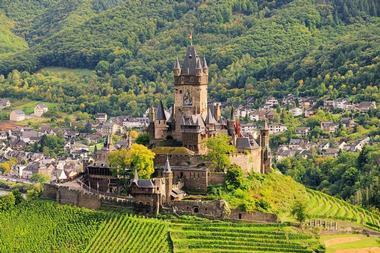 Built around the year 1000 by Count Ezzo, Reichsburg Cochem has a rich history involving palatinate counts, a former Queen of Poland, the Staufer Dynasty, and destruction by French troops. The castle was rebuilt in 1868 in the neo-Gothic architectural style by a Berlin business man, Mr. Louis Ravene, to be used as a summer house. Today, visitors can go on guided tours through the castle’s many rooms and courtyards and see antiquities that were collected by the Ravene family over the years. A special tour is available to pique the interest of younger visitors; the tour goes through the Knights’ Hall and Weapons Room, the Romanesque Room, and the dining hall, among other places. Located in Aschaffenburg, Germany, Schloss Johannisburg was constructed some time in the early 1600s for the Prince Bishop of Mainz, Johann Schweikhard von Kronberg. 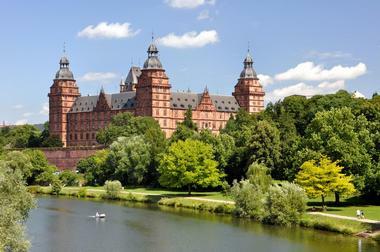 Designed by architect Georg Ridinger and built from red sandstone, the castle overlooks the River Main. Schloss Johannisburg is one of the most important buildings remaining from the Renaissance period in Germany and is visited by people all over the world. Within the castle grounds, visitors will find the palace chapel, residential rooms fitted with neoclassical furnishings, and a gallery of paintings with works by Lucas Cranach the Elder. 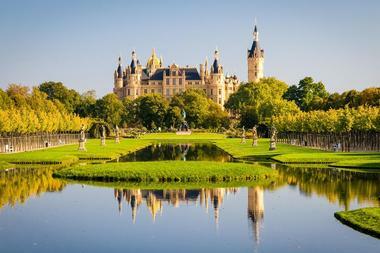 Schwerin Castle is a palatial manor located on an island in the middle of the Schweriner See. The palace had been home to many of the dukes and grand dukes in history and is now the residence of the Mecklenburg-Vorpommern state parliament. The first record of a castle here goes back to AD 973, but the current palace was mostly built around 1845. Though the place attracts many history and architecture buffs, the castle also has many visitors who are interested in paranormal activity; this is due to the ghost, called Petermännchen, who is said to roam the halls of Schwerin Castle wearing clothes from the 17th century. 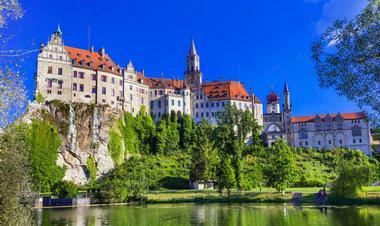 The earliest mention of Sigmaringen Castle is in the chronicles of the Petershausen monastery, dating back to 1077. Visitors can still see many of the preserved remains, such as the great hall, the gate, and the keep, within the renovated exterior that stands today. After the castle was rebuilt in 1893 after a fire, only the towers of the earlier structure remain. The castle and the on-site museums can be explored throughout the year while on guided tours. Some of the best aspects are what’s within the castle: The ornate furniture, valuable porcelain objects, paintings, historical objects, and one of the largest private weapon collections in Europe. 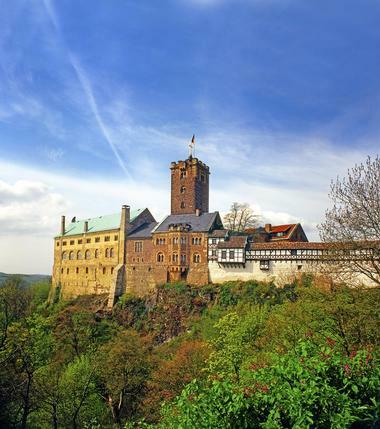 Stolzenfels Castle was originally a medieval fortress castle that was built in 1259 by the prince-bishop of Trier. The ruins were gifted to a Prussian crown prince in 1823, who then rebuilt the structure as a Gothic Revival-style palace. The castle was listed as a UNESCO World Heritage Site in 2002 and includes a donjon, an adjutant tower, a pergola garden, a guard house, and the castle chapel. The castle grounds are some of the most beautiful in Germany and visitors can explore the buildings, the five gardens, the surrounding park, and the Rhineland. The first German castle to be identified as a UNESCO World Heritage Site in 1999, Wartburg Castle lies on a precipice overlooking Eisenach. The castle, which was built in the Middle Ages, still houses many of the original structures from the 12th century; many of the furnishings date back to the 19th century. 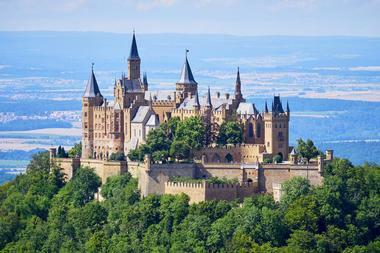 The impressive castle grounds contains over 1,000 years of German history in its architecture and decor. Wartburg has been home to many historical events, with one of them being the location that provided refuge to Martin Luther, who translated the New Testament into German on these grounds. Visitors can explore the castle grounds, its extensive art collection, and the museum library with a tour or on their own. 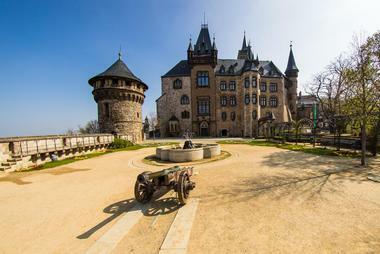 Built atop the Harz Mountains in the 19th century, Wernigerode Castle is one of the most visited in Saxony-Anhalt. After its initial construction by the Counts of Wernigerode, the castle was rebuilt as a Schloss in the baroque style by Count Christian Ernest in 1710. What visitors see presently is the remains of another reconstruction conducted in 1893 in the neo-Romantic style by Count Otto, a descendant of Count Ernest. Visitors can go on museum tours that take them through the decadently furnished rooms that once housed German nobility. Walking through the terraces and buildings of the castle grounds, visitors will be taken back in time and better understand German history. 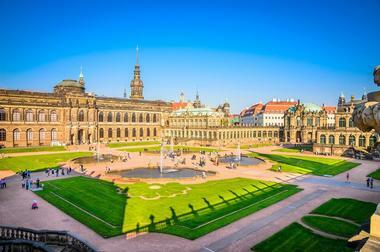 Zwinger Palace was constructed in 1709 during the reign of Augustus the Strong in the heart of Dresden. It was designed by court architect Matthäus Daniel Pöppelmann and built in the Rococo style as part of the Dresden fortress. The palace museum complex has many aspects that visitors can explore, such as the Royal Cabinet of Mathematical and Physical Instruments, the Dresden Porcelain Collection, and the Old Masters Picture Gallery. Other than the famed baroque architecture on the outside, visitors will love exploring inside the palace, which has many remarkable sculptures adorning the gallery walls. One of the most famed aspects is the Crown Gate, which is decorated with gods from Greek mythology.